Performers include: Dwayne “The Rock” Johnson, Rob Corrdry, Omar Benson Miller, John David Washington, Donovan W. Carter, Troy Garity, Jazmyn Simon, London Brown, and Arielle Kebbel. This comedy series looks at the lives of former and current football players. 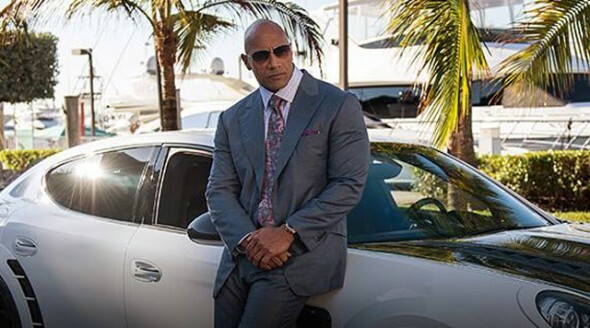 It follows former superstar Spencer Strasmore (Dwayne “The Rock” Johnson) as he gets his life on track in retirement. Spencer has re-invented himself as a financial advisor in Miami, taking on young phenoms and veteran superstars alike. But Spencer’s role in his clients’ lives far exceeds money management as he struggles to help them navigate the many pitfalls that come hand-in-hand with life in the spotlight. Joe Krutel (Rob Corddry) is Spencer’s boss at Anderson Financial He pushes Spencer to monetize his friendships as they strive to forge a new path together in the world of finance. Jason Antolotti (Troy Garity) is a successful sports agent who connects with his clients and keeps his cool — even as he negotiates top dollar contracts under high-pressure circumstances. Vernon Littelfield (Donovan W. Carter) is Dallas’ prized defensive tackle who believes he should be paid accordingly, but the temptations of being a young superstar threaten to undermine that goal. Charles Greane (Omar Benson Miller) struggles to adapt to a life of domesticity after having just retired from the game. Julie Greane (Jazmyn Simon) is his wife and knows all too well the pitfalls of walking away from football too early. Ricky Jerret (John David Washington) is an unpredictable receiver who is looking to find stability as he embarks on the final years of his career. He’s a rising star who’s being bled dry by hangers-on, including his manager, Reggie (London Brown). What do you think? Do you like the Ballers TV show? Do you think it should be cancelled or renewed for another season? Fun show to watch, love it! I love the show, keep it on! It should stay. I enjoy the show. The Rock is cooking something we truly can smell!! It smells awesome!! Watched every episode and hoping HBO serves up many more. Perfect casting. Excellent writing. I’m hooked!!! Looking forward to the new season. Great Show….. It’s the first season and I’ve enjoyed it….More T & A and it will only get better. While I do agree that the Rock is just awful, as he is in pretty much everything, the show has really grown on me and I kind of look forward to it each week. I am glad it is coming back. I loved it and thought it was sharp, fast-moving, snappy and fun. And the Rock was perfect in this show, as were all his supporting actors. It was excellent, a fun glamorous and a birds-eye-view of what life is like for the Ballers of the world. I hope it returns…and I am not even a football fan ! I think the show has potential and therefore should continue. I think ALL the actors are on point and new story lines can easily be developed. It’s the first season people come on, they are grooming it for longevity. The camera seems very jerky so it wasn’t enjoyable. I like it!!. Will be watching!!! I usually like HBO sports oriented shows but after watching this, it Just goes to show you HBO doesn’t always get it right. They needed a good actor to play Spencer.